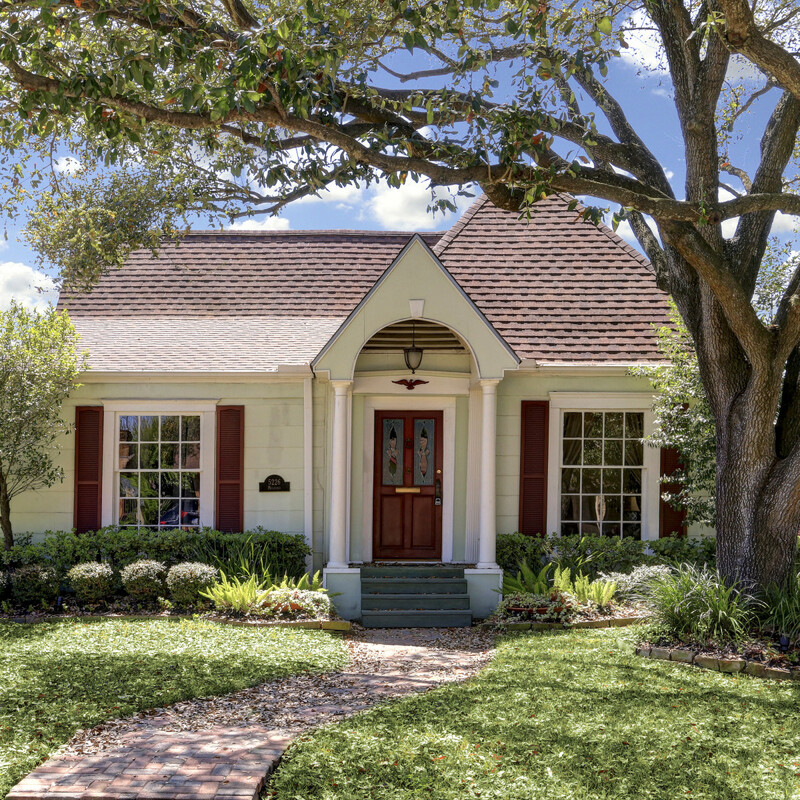 Editor's Note: Houston, the surrounding areas and beyond are loaded with must-have houses and properties for sale in all shapes, sizes and price ranges. In this continuing series, CultureMap snoops through some of the best and gives you the lowdown on what's hot on the market. A doll of a 1930 cottage in historic Eastwood hits the market for $329,900 as a lovingly renovated cutie with attention on every detail, including smart upgrades such as a luxurious spa retreat in the master suite and a gourmet kitchen. 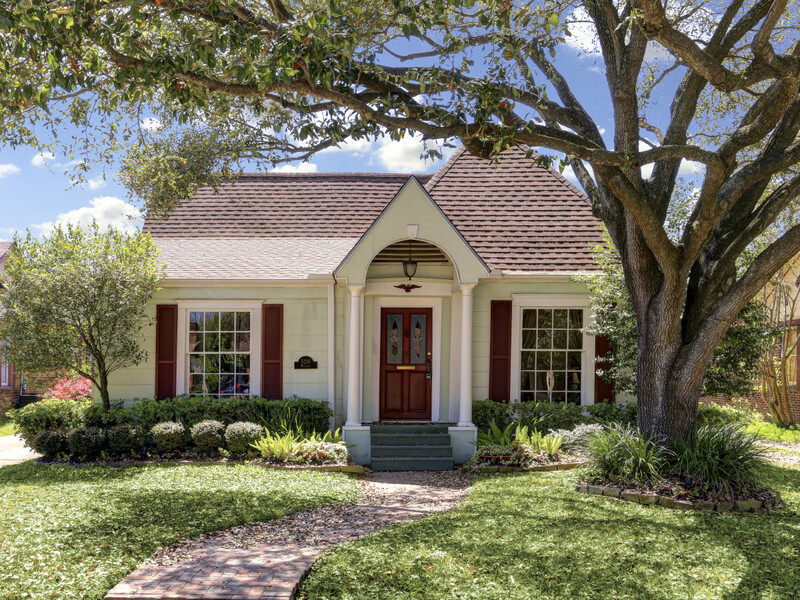 Located at 5226 Mulford St. in the Lawndale subdivision, the quaint bungalow is framed by beautiful landscaping in front and a mature shade tree. Step inside to the formal living room anchored by the original mock fireplace with sconces above. Hardwood floors, crown molding and lots of windows for natural light continue throughout the home. An arched doorway, one of several in the house, adds architectural interest and serves as an invitation to the formal dining room, which is spacious enough for large-scale furniture pieces. An antique chandelier hangs in the center of the room. The gourmet kitchen, an attractive remodel in keeping with the character of the home, has custom cherry cabinets, top-of-the-line appliances, plenty of granite counter space for prepping and a custom-built pantry behind frosted glass doors. A window seat basks in natural light, and the room is ready for an island or bistro dining set. Two arched doorways lead to the comfortable den with walls of French doors and dual ceiling fans. The large master suite is truly a retreat, with the lavishly appointed bath and dressing area just steps away via French doors. Here, the wow factor goes up with sleek cabinetry, dual vessel sinks and designer hardware. A 5-by-7 foot mosaic glass tile shower comes with body sprays and rain shower head for a spa treatment everyday at home. Just off the bath is a walk-in closet and dressing area with numerous custom built-ins. A secondary bedroom is also light and airy and opens to a bright sunroom with a wall of built-ins. The guest bath features an antique vanity with vessel sink, beadboard walls and antique footed tub. From the den, owners can enjoy the private side yard with deck and lush back yard. The green oasis is filled with benches and bird baths. An urban garden with Mexican river rocks, herbs and flowers adds to the outdoor appeal. The lot size is 5,400 square feet.